Drywall installation takes a specialized technician. It has to be done perfectly by a professional, as it frames the face of your walls and ceilings. For those services, you can depend on Mid-Illinois Companies. 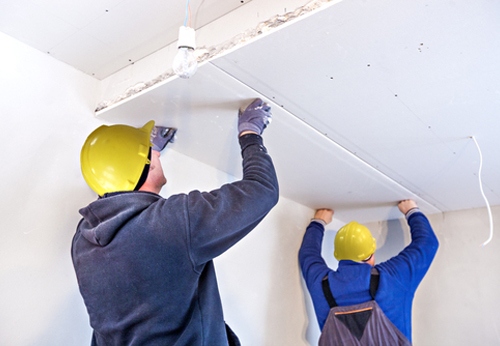 Offering many different types of drywall, from moisture-resistant to fire-resistant to soundproof, we can do the job properly and effectively. Thus, we make sure your walls don’t develop cracks and lines. Instead, you get a smooth, finished look thanks to our highly trained drywall contractors. Our attention to detail is unparalleled throughout the area. Plus, we can help you decide which type is best for your home or business. 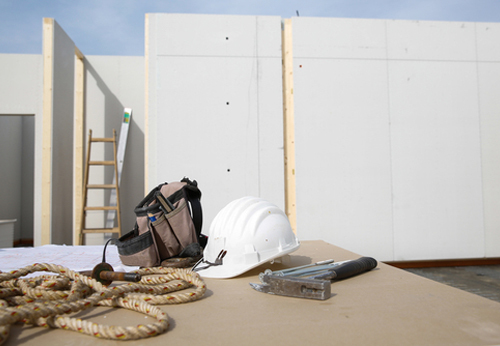 We are the drywall contractor Central Illinois wants for exceptional quality. Taping: We will cover all gaps between sheets of drywall with tape. This is designed to ensure a smooth surface for finishing or painting. When done in haste, the lines between each sheet of drywall are noticeable. The one you choose will determine the overall style of your walls and the room itself. If you don’t really know what you want, ask our contractors. We would be happy to give advice on what would work best. Choose us for our flawless attention to detail throughout the whole drywall process in Central Illinois. If you require the services of a drywall contractor anywhere in Central Illinois, contact Mid-Illinois Companies in Peoria at 309-674-0717 or Springfield at 217-685-5486 or email us at info@mic123.com. Alternatively, you can request a proposal online today.